WordPress can oftentimes be quite slow if not optimized correctly. Site speed is so important for reader retention, search ranking, and overall usability of your site. In this guide, we'll go over some of our favorite methods for improving site speed in WordPress. In our experience, once of the biggest culprits of a slow WordPress site is excessive plugin usage. 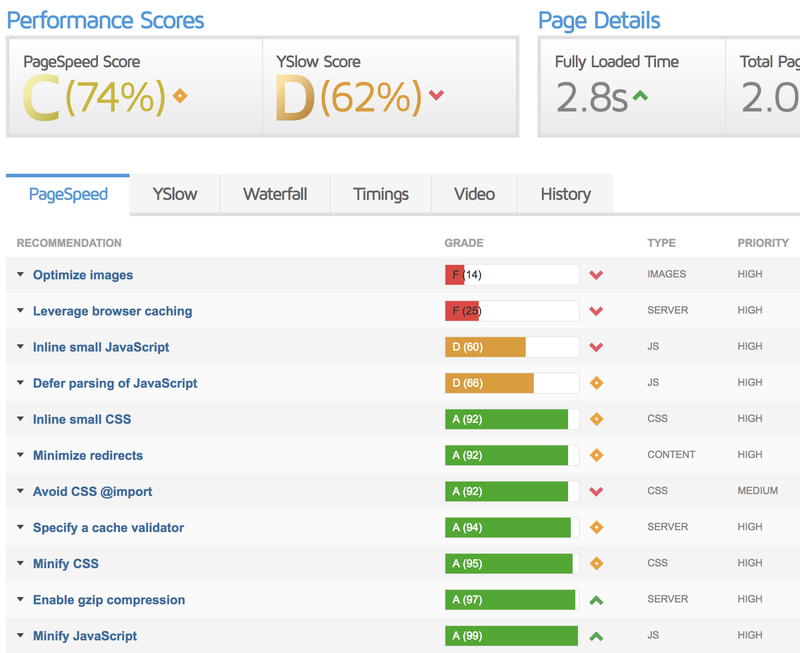 If you notice your website is slow, the first thing you should check is your Plugins page. Are there any you aren't using anymore? If so, remove them. This includes plugins recommended for our themes! You may not need every feature that a 17th Avenue theme comes with, so feel free to delete the plugins you aren't using. Additionally, some plugins can contain faulty code that can really slow your site. Just one more reason that we recommend keeping your list of plugins as lean as possible. Make sure you are always using the latest versions of WordPress, Genesis, and all of your plugins. Get in the habit of updating your site once per week. Click here for instructions on safely updating your site. If you aren't already using a caching plugin on your site, RUN and go get one! It'll make a huge difference in load time. Caching plugins "save" your website data on the server, making pages load faster. The caching plugins we recommend are W3 Total Cache (free) and WP Rocket (premium). Resize your images prior to uploading to WordPress. You can resize in any photo editing program (Photoshop, Lightroom, PicMonkey, Pixlr, etc). If the width of your post area is 700px wide, don't upload an image that is 3600px wide. Use the correct file types. JPEG for images of people, places, things. PNG for graphics and screenshots. Use an image optimization plugin. We recommend WP Smush or EWWW Optimizer. If your site is extremely image-heavy (i.e. a photography site), consider using a lazy load plugin like this one. Minifying cleans up your theme and plugin files, compresses files together, and caches script files for faster loading. Typically this level of optimization isn't need for most sites, but if you've done everything else, a minification plugin is a great thing to try. We recommend Autoptimize.